As the newly elected Chair of the Council on Homelessness I'd like to offer very hearty thanks to Teri House and Brenda Kain for their service as Chair and Co-Chair, respectively, on the Council on Homelessness. In July, I was elected as the new Chair and Teri was elected to become the new co-Chair. This is an exciting time to be involved in homelessness. Big changes are afoot in our Continuum of Care, including the implementation of our newly designed Coordinated Entry System, a new way of thinking about how to track and end chronic and veteran homelessness through the Zero:2016 campaign, and the announcement of five seat openings on the Council on Homelessness. "Many times you have heard me describe that health is more than what happens in the exam room with a doctor. Access to basic needs such as nutritious food, safe housing and communities that promote active living greatly impact the health of those whom we serve. Now, the Affordable Care Act requires that health systems like ours address these social needs and funding is linked to our ability to do this successfully. The Medi-Cal 2020 Waiver requires us to integrate and coordinate services across the delivery system in order to provide patient centered, whole person care. In addition, we will need to increase and expand our partnership with other county departments, Community Based Organizations and residents. We cannot do this work alone and we need a division who will focus on community engagement and inter-governmental and municipal partnerships. To meet these demands, I have added a new division: Health, Housing, and Homeless Services. This new division will work to integrate housing and homeless services across our health system and will increase opportunities to coordinate health and homeless services across county government and in the community. It will also work with key partners such as the Employment and Human Services Department, the Housing Authority, school districts, housing providers, law enforcement and cities to develop innovative strategies to address the community’s health and social needs. I am pleased to announce that Lavonna Martin will lead this new division. Lavonna has provided leadership in various capacities in our Housing and Homeless Program for more than 16 years, the last five as program chief. Lavonna has earned master’s degrees in both public administration and public health, and is a recent graduate of CCRMC’s Change Agent Fellowship. Prior to bringing her talents to Contra Costa Health Services, Lavonna worked in San Francisco’s non-profit sector developing and administering innovative housing and supportive service programs for homeless youth and families. In her new role, Lavonna will continue to lead the change to transform the homeless system of care to a more coordinated and integrated continuum of services aimed at identifying, assessing, and prioritizing the most vulnerable homeless individuals and families for housing and health care. Please join me in welcoming Lavonna to her new role and support her as she builds the Health, Housing, and Homeless Services division." We are pleased to announce the first round of Contra Costa Coordinated Entry Request for Proposal awards. The team of agencies that will help launch the newly designed Coordinated Entry system are Anka Behavioral Health, Contra Costa Crisis Center, Contra Costa Interfaith Housing, Monument Crisis Center and Trinity Center. Our community will soon have CARE Centers in Concord, Richmond and Walnut Creek, a Warming Center in Concord, a CARE capable center in Concord, a nighttime CORE outreach team, telephone prevention and diversion assessment and referral, and community-wide housing navigation services. The team will focus on planning for the coming months with a goal of fully launching the new Coordinated Entry system in January 2017. Given that an expanded Coordinated Entry project application scored well in the upcoming HUD funding competition, we are expecting a second round of Coordinated Entry funding to be available in late 2017. This funding will help us develop new CARE centers (likely in East Contra Costa County), more warming centers, and provide funding for prevention and diversion support/activities. David Kinsey came to the Trinity Center newly homeless and inexperienced in navigating homeless services. He was visibly afraid of the uncharted territory he was in, but equally as optimistic in exploring solutions to his homelessness. He was open and willing to go any length to change his circumstances and immediately engaged in employment and housing advocacy services through Trinity Center. Soon after, he took a road trip to a career fair with our Employment Advocate which proved fruitful. Dave was even featured in the newspaper for his involvement within the career fair. As a direct result of his dedicated efforts with our Employment Advocate, Dave was employed at Home Depot in Concord. Subsequently, Dave maintained a steady income and was therefore eligible for subsidized housing through Shelter Inc. Dave’s faithful commitment to getting his life back was validated by being awarded a year-long housing voucher. Over the course of the next year, and still working closely with Trinity Center’s Member Advocates, Dave continued his forward trajectory in and out of the workforce, eventually securing a salaried position at Cisco which he has grown to love. 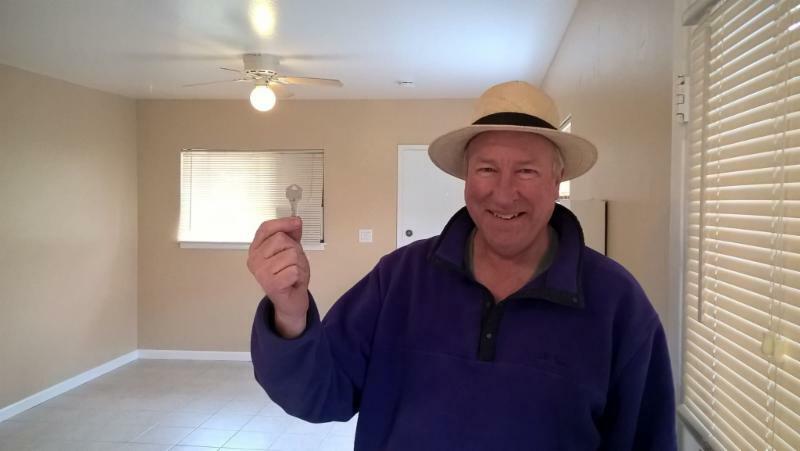 Dave is now working full-time and is permanently housed in Walnut Creek—in a beautiful home with no financial aid. The Department of Housing and Urban Development (HUD) Notice of Funding Availability (NOFA) for the Fiscal Year 2016 Continuum of Care Program Competition was released on June 28, 2016. Applications will be submitted to HUD September 14th and awards are expected to be announced in early fall. Is Your Project Really "Housing First"? 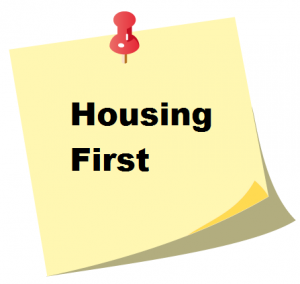 Housing First is a proven approach in which all people experiencing homeless are believed to be housing ready and are provided with permanent housing immediately and with few to no preconditions, behavioral contingencies, or barriers. Effectively implementing a Housing First approach involves prioritizing people with the highest needs and vulnerabilities, engaging more landlords and property owners, and making our projects client-centered spaces without barriers to entering and remaining in the project. This tool , developed by USICH, can help providers evaluate whether they are truly using a Housing First approach. This information can help projects position themselves better both for funding success and to most effectively help the most vulnerable people in our CoC. HUD published a final rule formalizing legal standards under the Fair Housing Act for sexual and other forms of harassment in housing. In addition, HUD is issuing Fair Housing Act guidance on local “nuisance ordinances” that may lead to housing discrimination against survivors of domestic violence and other persons in need of emergency services. Volunteer for Project Homeless Connect October 13th in Antioch! The Council on Homelessness would like to thank Kevin Corrigan and Janet Kennedy for their service on the Council on Homelessness. Kevin recently vacated Government Seat #2 and Janet Kennedy vacated Community Member Seat #3. We would also like to welcome Alejandra Chamberlain, Youth Development Services (YDS) Manager for the Contra Costa County Office of Education to the Education and Vocational Services Representative seat. 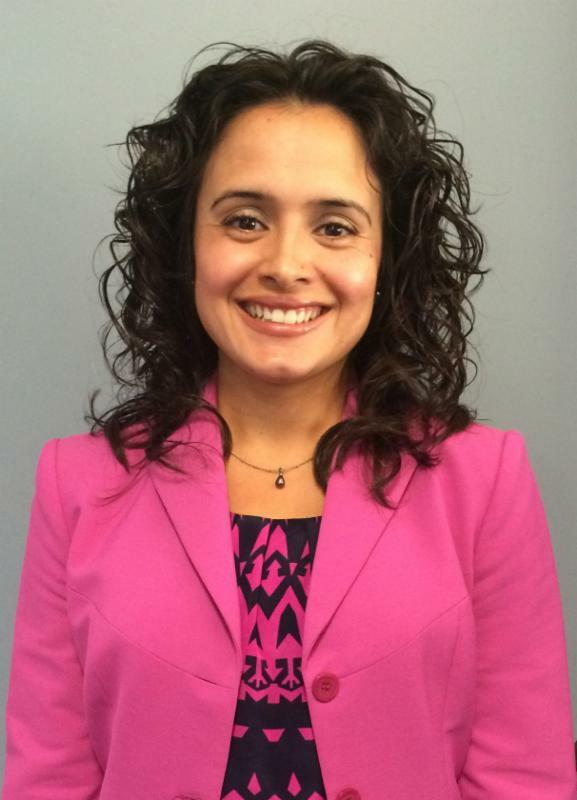 Alejandra Chamberlain is the Youth Development Services (YDS) Manager for the Contra Costa County Office of Education. Alejandra values quality education in Contra Costa and is committed to advocating for academic support and career guidance services to empower and encourage families, children and youth to become self-confident and self-sufficient. As the Contra Costa County Homeless Education Liaison she manages the Education for Homeless Children and Youth grant and the Homeless Education Collaborative. The grant was awarded to provide support (technical assistance and training) and resources to the 18 school districts in the county and CCCOE-operated school sites to implement McKinney-Vento. The collaborative is a consortium of 12 districts and service providers to coordinate services and provide support to the McKinney-Vento Education District Liaisons and homeless students and their families. Alejandra believes and advocates for the importance of increasing resources devoted to improving the educational outcomes of children and youth who face homelessness. The Contra Costa Council on Homelessness has a number of vacancies and is recruiting new members! We are looking for great people willing to bring their time and talents to the important work we are doing to end homelessness here in Contra Costa County. In late May, Contra Costa's Zero:2016 team hosted a regional Action Camp with Zero:2016 teams from Santa Cruz and Sacramento Counties. Contra Costa's new goals set at this action camp include reducing the number of veterans on our by name list by an average of 10 per month, placing an average of 15 chronically homeless people in permanent housing per month and raising $10,000 by the end of August and $50,000 by the end of 2016 for the Contra Costa Housing Security Fund. The Housing Security Fund will cover costs that can be barriers to people transitioning out of homelessness and protect property owners who offer these renters an opportunity. To donate, go to http://bit.ly/1ScFnLN. The July 15th Quarterly Continuum of Care meeting included a presentation about resources the Contra Costa County Library has for the homeless, an update on Coordinated Entry including announcement of the Coordinated Entry Request for Proposals, an update on HUD Notice of Funding Availability (NOFA) for the Fiscal Year 2016 Continuum of Care Program Competition, an update on the Concord Naval Weapons Station and a brief discussion of the new "No Place Like Home" legislation.